ACES > News & Features > What role do ocean margins play in the global carbon cycle? What role do ocean margins play in the global carbon cycle? By using the radiocarbon dating of land-plant molecules as a clock, an international research team led from the Department of Environmental Science and Analytical Chemistry at Stockholm University, has for the first time been able to assess the timescale for transport of organic carbon released from land across coastal seas. 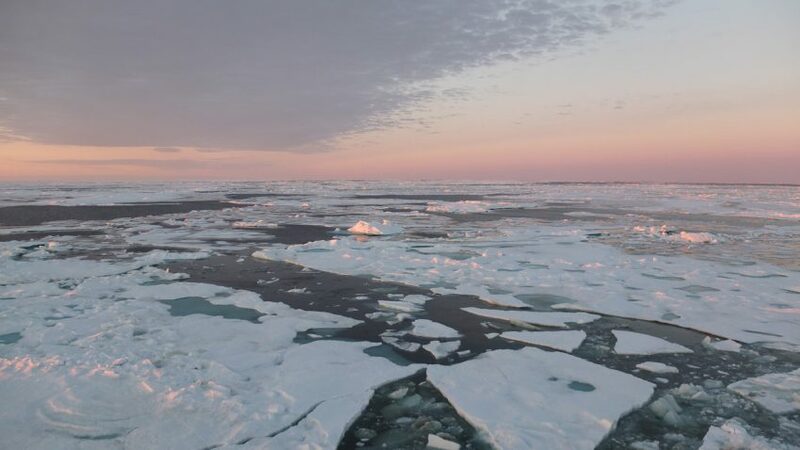 The approach has pinpointed transport time across the Siberian Arctic shelf and the rate at which old permafrost organic matter is converted into greenhouse gases such as carbon dioxide in these coastal areas. The study is published in the scientific journal Nature Communications. Ocean margins are recognized as a key interface in the global carbon cycle, where more than 80 percent of carbon burial is estimated to take place, while occupying less than 10 percent of the ocean area. These shelf-sea systems are increasingly viewed as crucial “reactors” in the large-scale biogeochemical cycling of carbon, yet the field has for decades been struggling to estimate the “shelf degradation sink” of terrestrial organic matter exported from land. A current study by a research group at the Department of Environmental Science and Analytical Chemistry (ACES) together with colleagues in Russia now provides a breakthrough on this long-standing challenge by microscale radiocarbon dating of specific terrestrial biomarker molecules as they are transported across the shelf. The approach is demonstrated for the World’s largest shelf sea system, the shallow, 600 km wide East Siberian Arctic Shelf. Here, land-ocean transfer of carbon from thawing permafrost is an additionally urgent motivation for constraining this process. “In previous studies we have seen that most of the organic matter released from land is degraded during its transit across the Laptev Sea but we did not know on what timescale this was happening.The transport from the Lena River Delta across the Laptev Sea shelf takes almost 4000 years”, says Lisa Bröder, a former PhD student at ACES, Stockholm University, who is the lead author of the publication. 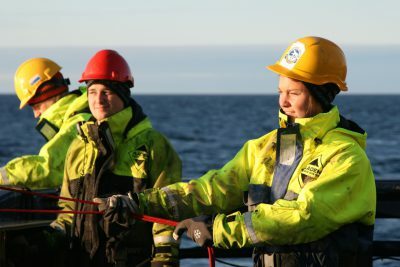 The samples analyzed in this study have been collected during the International Siberian Shelf Study onboard the RV Yacob Smirnitskyi during summer 2008 and the Swedish-Russian-US Investigation of Carbon-Climate-Cryosphere Interactions in the East Siberian Arctic Ocean on ODEN during summer 2014. “In the study we have used the technique of microscale carbon-14 dating on specific organic molecules that are only produced by plants that grow on land. We then measure how these increase in age by several thousands of years from close to the coast and the Lena River Delta across the 600 km wide Laptev Sea shelf”, says Lisa Bröder. The team has quantitatively “clocked” the transport of carbon released from thawing permafrost and this provides for the first time a time scale for cross-shelf transport. “Thus we could also quantitatively determine the rate of decomposition of this released land-carbon in the coastal area, an important information for assessing the release rate of old organic carbon from thawing permafrost that can be converted into greenhouse gases like carbon dioxide in the coastal areas”, says Örjan Gustafsson, professor of biogeochemistry at ACES, and the principal investigator of the study. 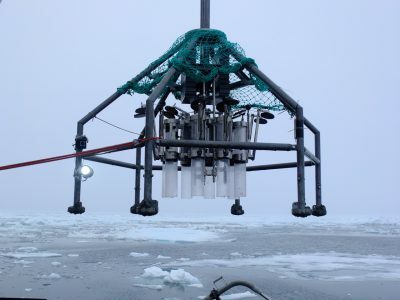 The article “Bounding cross-shelf transport time and degradation in Siberian-Arctic land-ocean carbon transfer” is published in the scientific journal Nature Communications.